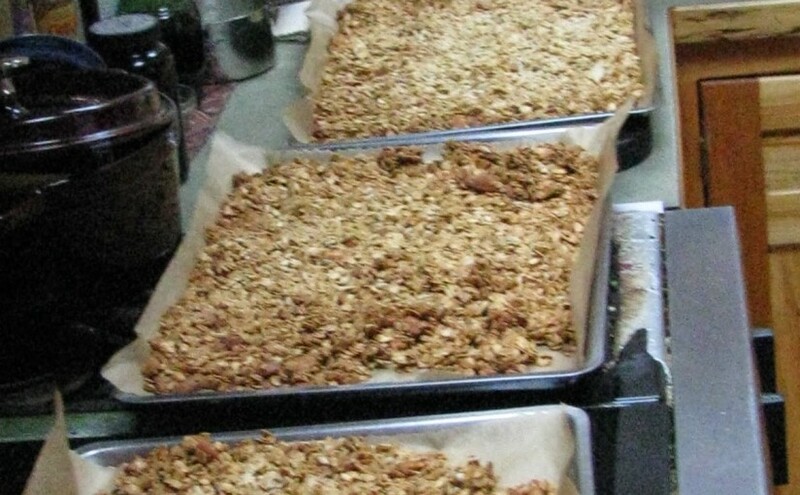 Sometimes, all the bells and whistles in the world can’t entice us away from making our old favorite, Honey Almond Granola. 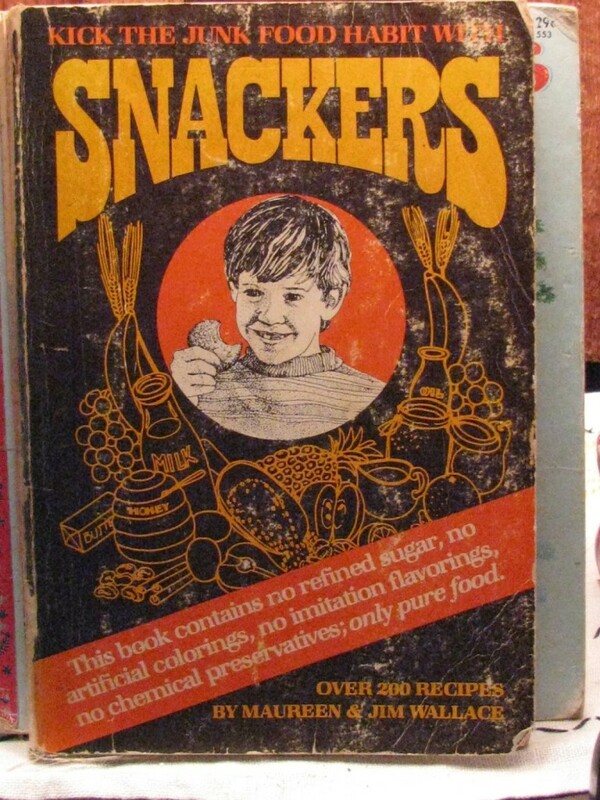 I have adapted my recipe from one I found in another old favorite, the book SNACKERS by Maureen and Jim Wallace. I have had this book since 1984, purchasing it from the place I worked at and loved, Sunrise Natural Foods in Coeur d’Alene, Idaho. I learned so much working for Audrey, not only about our products, and about what I could do given the task, but about how to treat people. She was generous, friendly, down-to-earth (she used to own a bar in Montana and “could drink any man under the table”! ), and a very good listener. Qualities anyone could learn to hone. I have adapted the recipe so it makes about a gallon jar’s worth. My hubby doesn’t care for coconut, so I use more seeds and nuts, but I do use coconut oil. I don’t add raisins or dried fruit until the end, otherwise they burn. This batch got a little on the toasty side, but it still tastes great… what’s left of it! Do you think I need to replace the foil on my stove-top? In a small pan, soften the honey and coconut oil in the water until just melted. Add the vanilla or cinnamon if using. Stir to mix well, then pour over the oat mixture in the large bowl. 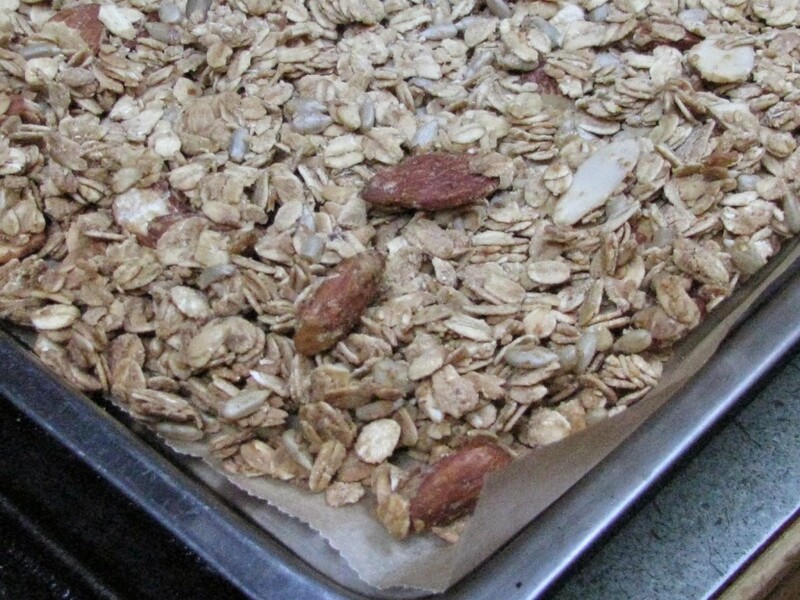 then spread granola equally amongst them, pressing to make as even as possible. doing this 2 more times. 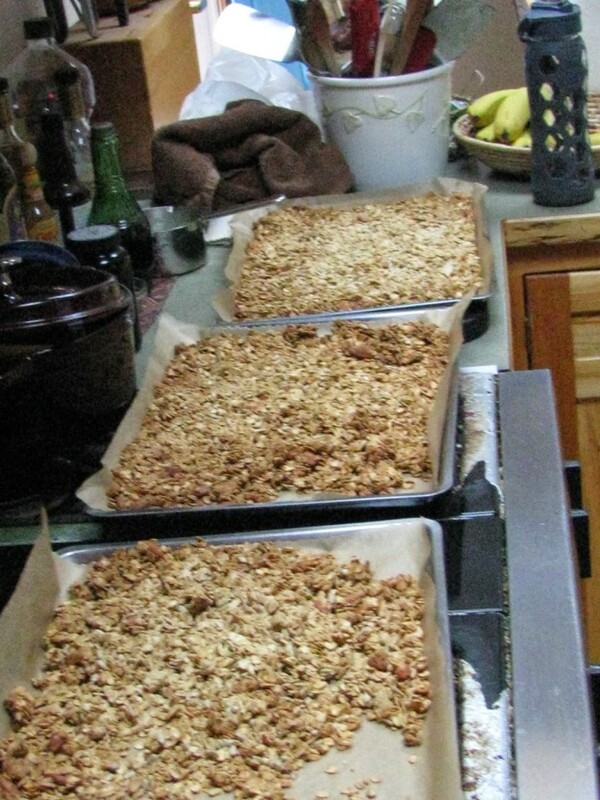 Turn off oven and let granola cool to crisp up. Store in a glass gallon jar. You can see from the cover that this book is not only 30 years old, it is also well used! And it appears to be out of print, but apparently there are some used copies you can find on Amazon. There are some dated recipes using soy grits and wheat-germ and stuff like that, but mostly they are easy-peasy and family-friendly (and easily adaptable). I think any child would love to hand-shape their own Frootsie Rolls (from the section Candy Snacks – worth the price of the book alone)! I don’t think I need to tell you how to eat granola, but I like it best with yogurt. Yum!